If you’re dealing with Travertine Sealers Dallas issues and you’re having difficulties getting the most out of your flooring, you might not know what to do. Do you currently have some problems with your tapestry and you’d like to properly seal it so you can avoid this from happening again? If so, the TSSPRO Sealant is the solution for you. Our team can provide you with high quality, commercial grade products for affordable prices. 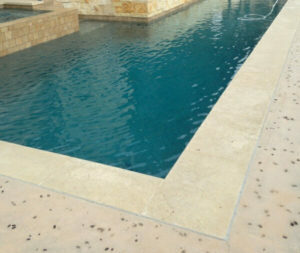 In Dallas, travertine is becoming more and more popular for both residential and commercial uses. Many homeowners and business professionals love using this material for a medley of different surfaces. It’s popular for pool decks, patios, landscapes, walkways, and much more. Some refer to it as Austin stone, and it’s usually found in a tan or beige hue. This is a very beautiful stone that will last well over time as long as you keep it sealed, cleaned, and maintained. Travertine is a beautiful and worthy investment, and its popular continues to grow. However, you’re going to have to make sure you pay close attention to it. This is a porous stone, and it can be easily damaged. This issue will be further exacerbated if you don’t have a proper sealant on it beforehand. Solutions such as bleach and vinegar are very acidic, and these can really hurt your travertine if you have an accidental spill. 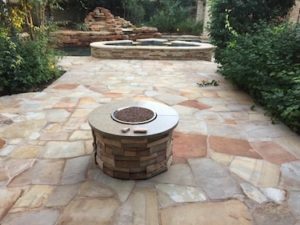 Are you using travertine for your backyard patio? If so, definitely watch out for scratches and scrapes caused by heavy furniture. People tend to forget that their premium, heavy-duty couches, chairs, and tables can damage their porous floorings. Because of this, you’ll want to be careful when moving these products. Etching, scratching, and dents can all occur fairly easily. Once this happens, you may find yourself needing a restoration or replacement sooner than you thought. If you need Travertine Sealers Dallas for your flooring, you may have some issues that are too much for you to handle on your own. This is something that’s very common in the Lone Star State. Many non-experts try to employ DIY solutions with little to no success. Because of this, it’s important to trust a proven expert in the business such as us. With the TSS Pro Sealant products on your side, you’ll always have a timely solution for your troubles. Travertine cleaning can be a little bit tough at times. This is because it’s a somewhat porous stone, and you’re going to need to be careful when restoring it. Acidic liquids such as bleach and vinegar can cause permanent and lasting damages if used incorrectly and without a sealant applied. There are plenty or organic and inorganic problems that can occur with porous stone such as this, and you’re going to have to make sure they’re taken care of in a timely manner. Before applying any type of sealant, it’s important to properly clean your surface. Sealants are supposed to help you protect against potential contaminants. Because of this, applying it before properly cleaning your floor can cause you to lock in a lot of dirt, grime, dust, and debris. This is something nobody wants to go through, and you may end up dealing with early deterioration if you let it occur. Our professionals understand what it takes to properly restore stone, and we’ll make sure you have the best products and pros on your side. Our line of all-natural, alcohol-based products are absolutely perfect for nearly every type of stone. These are high quality sealants that we have developed over the years. We are proud to be able to offer them to our Dallas customers, and we stand by their effectiveness by offering a guarantee behind each and every one. Our sister company, Texas Stone Sealers, has worked with a plethora of different types of sealants over the past decade. Because of this, we’ve noticed that there are a lot of manufacturers who claim they have the “best” product without truly providing people with high quality sealants. Low quality acrylic products do nothing more than frustrate both the customer and the worker. Because of this, we put our heads together and consulted the brightest minds in the business. This helped us develop exactly what we wanted to create: a high quality sealant that’s commercial grade quality that’s affordable for all. There are many things you’ll have to keep in mind when properly sealing and restoring your stone. Because of this, you might need to consult with professionals on how to properly navigate this process. If you’re a non-expert in this field, it can be difficult figuring out the proper solution by yourself. The last thing you want to do is make the mistake of trying to handle things without the expertise of a company and making things worse in the process. Trust our consultants to lead you in the right direction and provide you with answers that withstand the test of time. If you’re currently lacking the right Travertine Sealers Dallas solutions for your specific situation, don’t let it get the best of you. The TSSPRO Sealant can help you protect your surface for years to come by offering a great products for affordable products. Contact us today at 888-958-0556 to start developing the right answers for your surfaces. Our residential and commercial solutions are perfect for your needs, and we think you’ll enjoy our medley of services and products. Let’s get to work! Dallas is famous for the vast amount of different cuisines that can be found in our city. If you’re a fan of Tex-Mex, barbecue, and famous margaritas, this is the place to be! The State Fair is held here on a regular basis. This is a yearly event that draws in tons of local citizens as well as visiting tourists. You are most likely already familiar with the “Big Tex” statue. Take things one step further by visiting in person!